19 LISTS Cool Things You've Gotta SeeHey, Looky-Lous! Get your rubbernecks ready. The concept of 3D printing has been around since the mid '80s, but people weren’t really able to actually print an object that they could hold in their hands and use in their every day lives. This didn’t become common place until around 2009, when amateurs and hobbyists alike were able to purchase the first commercially available 3D printers. Even though 3D printing is becoming a more common occurrence, it’s still not entirely mainstream. “What can you make with a 3D printer?” is a question commonly asked by less tech savvy members of society (and everyone's mom). As confusing as it may be – the answer is what can’t you make with a 3D printer? It all depends on how creative you are, and how much time you want to commit to your project. The items on this list are all amazing things that you probably won’t believe were 3D printed. Even while reading this list of awesome objects that were created with a 3D printer, some readers are going to be asking, what is 3D printing? Is it science fiction? Is 3-Dimensional printing the way of the future? How worried should we all be about this? The modern definition is a form of additive manufacturing through sequential layering of material - and it's actually pretty cool. On this list you’re going to see the sequential layering of everything from mud and straw, concrete, heavy duty plastics, and even glass. Although it may seem like a fad, 3D printing objects are soon to aid in the sustainable development of third world countries. Check out this list of things that you didn't know could be 3D printed, and then leave a few sequentially layered comments for us about where you see the future of 3D printing heading. Here it is. 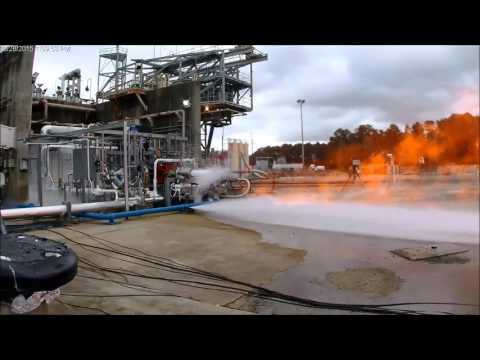 A whole rocket engine, which actually worked, printed by NASA through additive manufacturing. The future is now! Yes. Yes, you are reading this correctly. A group of Carnegie Mellon researchers have managed to demonstrate that replicating the human heart is possible with 3D printing. In fact printing models of various human organs and body parts is possible, all using biological materials and a "hacked" 3D printer they bought from just a regular 3D printer store. They published their research in the journal Science Advances, and if they can keep at it, this has huge implications for those awaiting organ replacements. When this little kitten, Cassidy, was found in a Canadian forest almost near death, it seemed all hope was lost. It appeared to rescuers from the non-profit cat sanctuary Tiny Kitten that Cassidy's mother had accidentally chewed off her legs while trying to cut the umbilical cord. 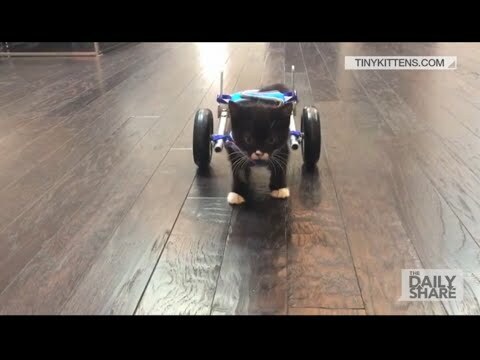 But thanks to Tiny Kittens and a couple of teens who thought "sure, we can print a kitten wheelchair, no problem," Cassidy is learning to walk. After winning a grant from NASA for $125,000, Anjan Contractor built a working 3D printer with the ability to replicate food. The first thing he made? Obviously it was a pizza.